This entry was posted in Like Show Business and tagged David Klaus, Murdoch Mysteries, William Shatner, Yvonne Penney by Mike Glyer. Bookmark the permalink. 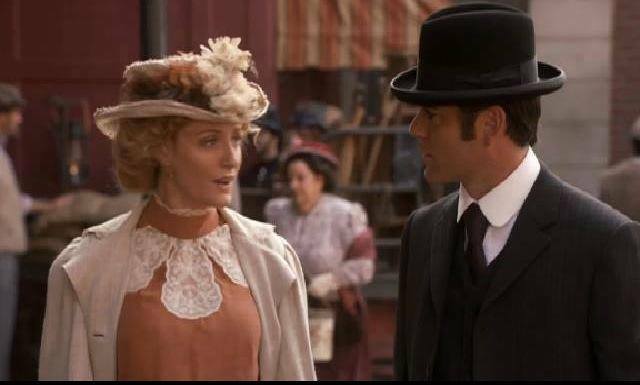 There’s actually two takes on this character and the short lived series, just a series of film length episodes over two seasons, with Peter Outerbridge as Murdoch is far darker, less soap operish. Netflix was showing it as well a few years back, but I don’t know if it’s still there. It also did a far better job of representing Victorian Era Toronto than the other series which looks like it was shot on a back lot.